Jose Mourinho has played down the significance of his past spats with Arsene Wenger after the Arsenal manager announced that he is to step down at the end of the season. Wenger confirmed on Friday that he will be leaving the north London club at the end of the current campaign after almost 22 years in charge at Arsenal. The Frenchman will be hoping to help Arsenal to win the Europa League this season and book their place in the Champions League for next term. Mourinho has had his fair share of spats with Wenger, with the Portuguese coach having famously branded his counterpart a “specialist in failure” during his second spell at Chelsea FC. The pair have also clashed on the touchline in the past. However, the Manchester United manager has played down the significance of those events and says that he is full of respect for the departing Arsenal manager. 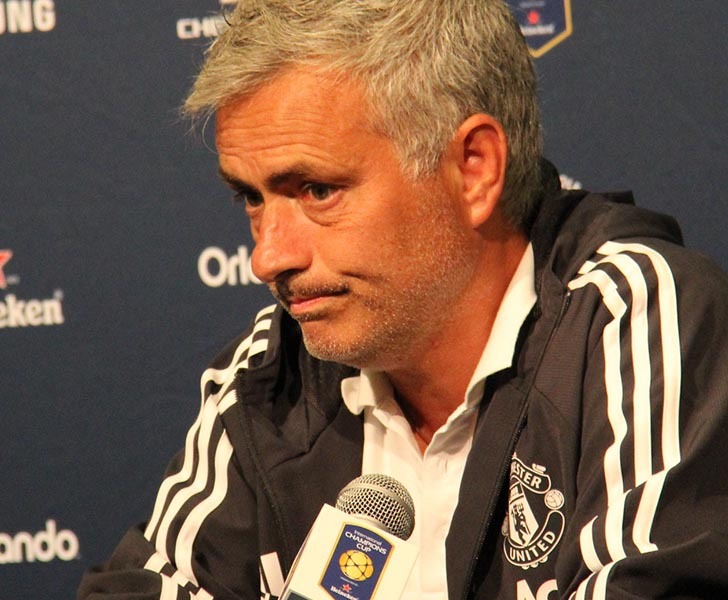 Speaking at a news conference on Friday, Mourinho said: “It’s not about regretting. “I think your question is typical from somebody that was not on this side. You were not a manager, you were not a player, you don’t know the way we respect each other, even when sometimes it looks like in some moments we don’t. “Players who get yellow or red cards by aggression, actions against each other, bad words during their career – a manager is the same thing. In the end, the ones that respect each other more are probably the ones that have the problems. “It’s power against power, it’s quality against quality, it’s ambition against ambition, but in the end it’s people from the same business, it’s people that respect each other and respect each other’s careers, so it’s not about regretting. Arsenal are set to host West Ham United in the Premier League at The Emirates on Sunday afternoon. They will then turn their attentions to their crunch Europa League semi-final clash against Atletico Madrid at The Emirates on Thursday night.